Remember that movie with Nic Cage where he had to steal 50 cars but only ended up with "49 and an 'alf?" Well it turns out real life isn't like the 2000 film Gone in 60 Seconds where exotic cars are the most stolen vehicles. In real life, it's more like sedans and pick-ups. 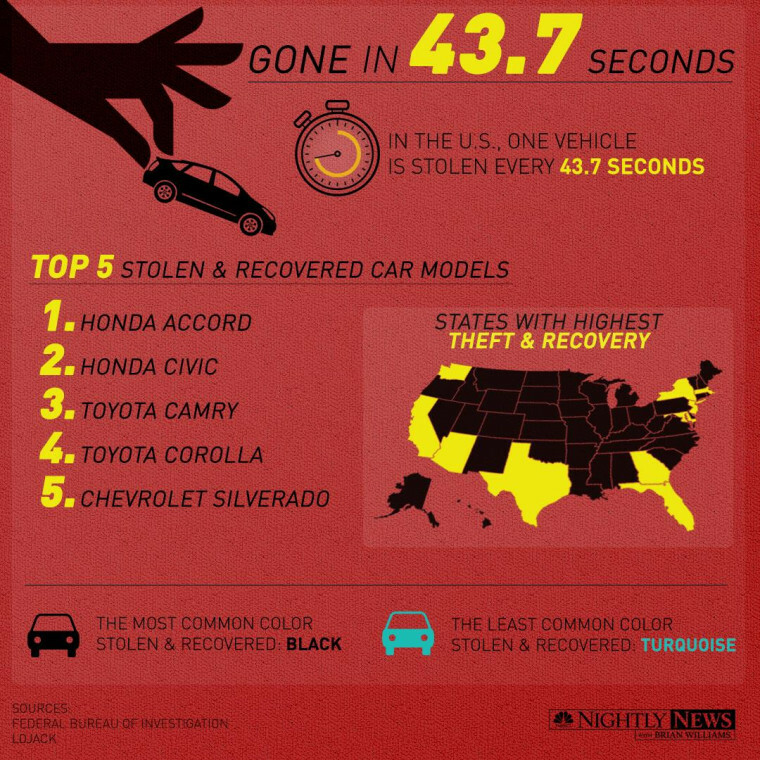 According to a new report by worldwide tracking and recovery system company LoJack, the Honda Accord ranks as the most stolen and recovered vehicle for the fifth year in a row. Of the cars equipped with LoJack, $121 million in stolen vehicles were recovered in 2013. The most expensive vehicle recovered was a 2011 Porsche Panamera valued at $103,400.